CEREC is one of the most exciting innovations to appear in modern dentistry. The Acronym stands for Chairside Economical Restoration of Esthetic Ceramics, or CEramic REConstruction. In short, CEREC uses CAD/CAM (computer aided design/computer aided manufacturing) technology to quickly take dental impressions and produce dental crowns and caps precisely fitted to your tooth. CEREC is both convenient and much more advanced than previous technology. How does CEREC improve on previous technologies? In the past, dentists would often create a wax mold of your damaged tooth in order to ensure crowns, and other restorative implants were an exact fit. 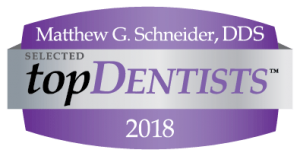 Offering you the most up to date solutions, Schneider Family Dental instead uses CEREC to scan the damaged area and generate a 3D image. This image is incredibly accurate and allows us to produce a better fit for you. 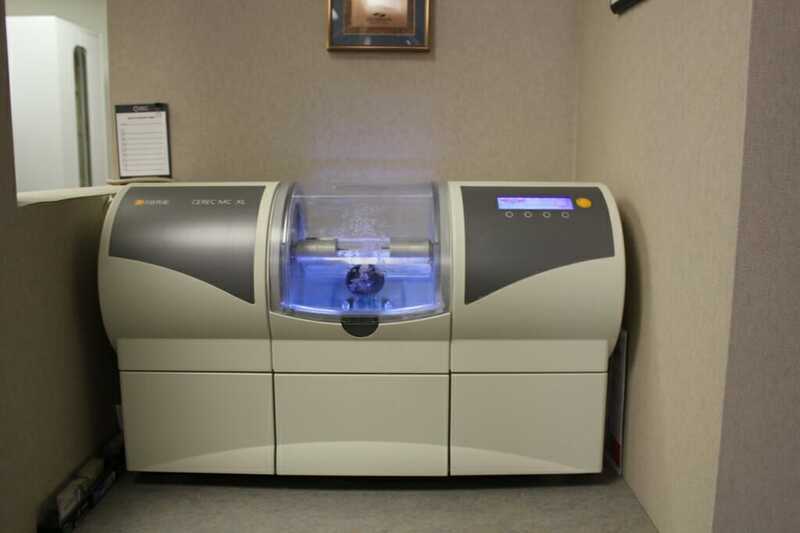 Aside from 3D modeling, CEREC also helps us produce the best quality replacements. Years ago, dentists could only use amalgam, gold, and other metals to fix decayed and damaged teeth. With CEREC, Dr. Matt is able to design a replacement and use the machine to create it from a block of high-quality ceramic. This provides a strong, tooth-colored material to restore your teeth to their natural strength and beauty. In addition, CEREC replacements are chemically bonded to your tooth to save as much healthy tissue as possible. Restorative procedures. For crowns we use CEREC’s Omnicam, a small powder-free color camera, to scan your tooth. This ensures that your appliance will be a perfect fit. Implants. A built-in grinding and milling unit quickly and precisely produces abutments and crowns for your dental implants. In and out. CEREC allows us to give you professional service in a single visit so you can spend less time in the dentist chair and more time doing what you want! Getting a dental crown used to mean that you had to make two appointments, get two shots, have a messy impression, get a plastic temporary crown and wait two weeks. Luckily, with CEREC technology, those days are over! Call us today to find out how CEREC can be used to improve your dental health.